So neither the one who plants nor the one who waters is anything, but only God, who makes things grow. 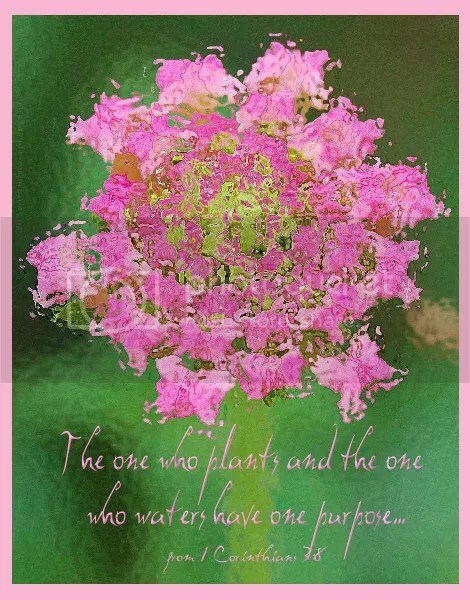 The one who plants and the one who waters have one purpose, and they will each be rewarded according to their own labor. For we are co-workers in God’s service; you are God’s field, God’s building. The kind words you say today do matter. So does the one minute conversation you had with someone on the bus when you told them of how God had changed your life. How about that time you stopped to give a homeless man some food? And the scripture card you sent to your neighbor when they were in the hospital—did that matter? As God continually works in the lives of people, every seed of belief and faith in Him that is planted within their hearts is important. Every drop of water that falls on those seeds is important, as well. When someone comes to saving faith in God and His Son, Jesus, they can often point to investments made in their lives by other people–God’s servants–as they planted seeds and watered them. It is God that makes the seed grow. Our part in spreading the truth of His love matters. Women want to hold leather-based bags to any occassion,for exmaple,party,work,life.Handbags hold out significance part in life.Actually,leather bags help girls to emanate their charm.So girls invested many income to purchase bags.Women want to purchase well-known producer bags,lv,gucci,hemens,doir and more.However,Louis Vuitton authentic bags are extremely expensive always above one thousand dollars, as a result, it becomes difficult for ordinary people to afford. It can be desired but not owned.meet many customers?? requirement and taste, manufactuers began to produce the fake bags with a high quality.Fake bags reselling price decrease compared to genuine producer bags,So many people want to purchase fake bags with less money.